Nine of us sat in the front row of seats at the Coupeville Performing Arts Center last Saturday. We wore wrinkled black robes. 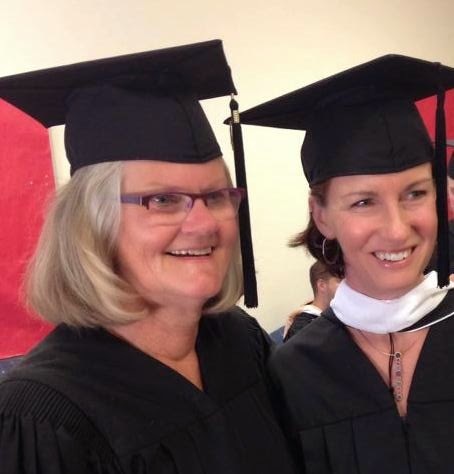 Tassels draped over the left side of the black mortarboards perched on our heads. On the stage, faculty, staff, and board members of the Northwest Institute of Literary Artswore similar regalia. Behind us, family and friends held cameras ready for photo opportunities. We were all there that warm, August afternoon to mark the milestone of completion of a Master of Fine Arts (MFA) degree in creative writing. Nearly a year ago, the Class of 2014 began the process of selecting a graduation speaker. We were delighted when former guest faculty member Elizabeth Austen accepted our invitation. We had no idea that by the time the ceremony rolled around, Elizabeth would be Washington State Poet Laureate. of transformation rather than mere transaction. Tune inward. Find and defend your quiet places. When I finally turn to confront the doubt, to engage with it and dig underneath it, sure, there’s fear there. Fear that my best efforts will be inadequate or, worse, boring and foolish. But when I confront my doubt I’m also faced with the depth of my desire to make something astonishing, a poem that will startle me into new awareness, a poem with the capacity to provoke or nourish, to help someone grieve, or maybe even begin healing. Self-doubt is intimately connected to the desire to go further, risk more…At its best, self-doubt keeps us from becoming glib and complacent. Just don’t let it have the last word. Don’t let it silence you. Fortunately, Elizabeth hasn’t let self-doubt silence her. She shared this poem from her book, Every Dress a Decision, that again seemed to speak directly to all of us. Nothing changes, no one is saved. I lie down in the dark. I rise up and begin again. 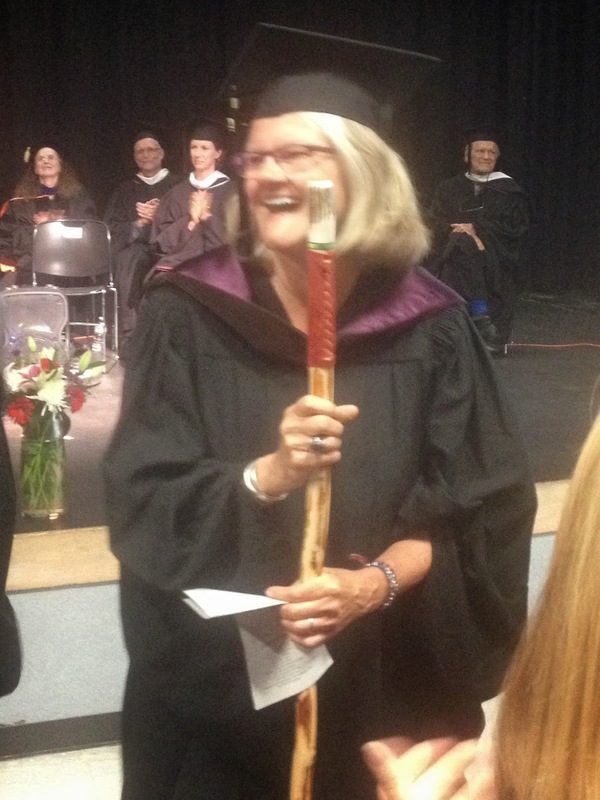 After our thesis advisors draped velvet hoods over our shoulders, we each walked across the stage to receive a hand-carved walking stick. Once we returned to our seats, we switched the tassel to the right side of the mortarboards while the President of NILA, Allan Ament, waved a glittered star wand. That day, I had no doubt that I’m “one of the lucky humans.” My thesaurus lists these synonyms for “lucky”—blessed, fortunate—even better words for how I feel about being a writer. Beautiful post, Iris. Thank you again for inviting me. Thanks for reading, Elizabeth. I’m still feeling the glow of ceremony.